Ms. Galand Nuchols proudly displays her novels for your inspection and enjoyment. Each one can be ordered from Amazon in paperback or as a Kindle version. Personal visits to schools, assisted living centers or other groups can be arranged. 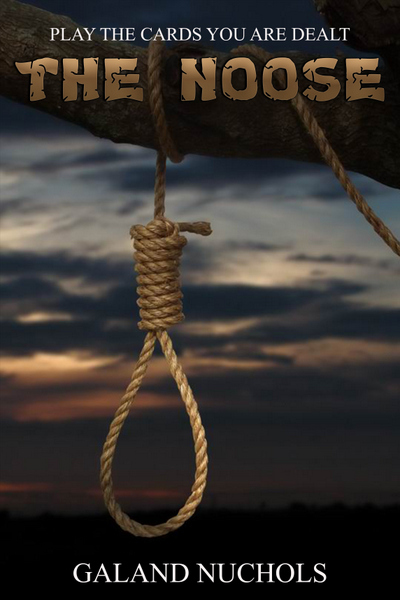 The Noose - Eddy Turner and Scott, young men with unusual mental talents, keep receiving visions of a hangman's noose drawing closer and closer each time the vision appears. Is it a warning they are in danger? Is it a warning someone else at the secret ranch for talents is in danger? With no other clues available, they wait for something to happen. Daran, a troubled young man carrying a load of guilt for a lie told years before, is sure he must take his own life in reparation for events that happened years before. Beer and alcohal fail to drive the condeming faces away. He doesn't want to die but can't live with the accusing haunts. 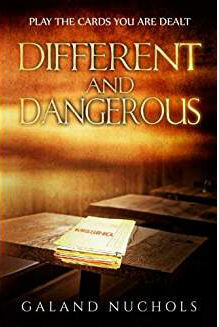 Eddie and Scott have been recruited to work undercover in a school w here a popular teacher has mysteriously disappeared. Will close proxcimity of the missing woman's workplace help Scott, a claravoiant, find clues leading to her resque? A corrupt cop realizes who Eddie is and reports his location to drug dealers wanting information they think Eddie possesses. A vision of a terrified girl keeps coming to Scott. It is a mixed up kettle of facts that the talents are challenged to sort out and make sense of. 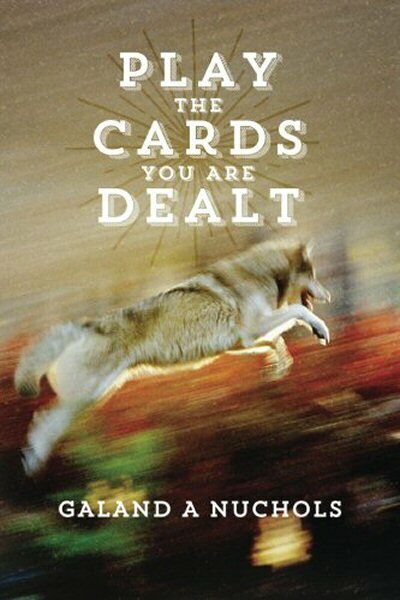 Play the Cards You Are Dealt - Eddie Turner has a medical condition leaving him completely hairless and the target of bullies at school and in the community. An abusive stepfather makes life difficult for Eddie and his mother. They must escape. 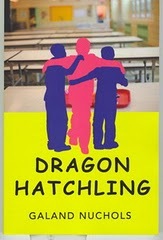 Eddie, an empath, has a new set of talents emerging and unknowingly starts a riot at school. His mother realized Eddie must have help from other, experienced talents and calls in friends of Eddie's biological father. Angry andsuspecious Eddie is in no mood to be suddenly moved and manipulated by strangers. Infact he is sure they arelieing to him. Leroy longs to escape the community of ugly whispers and pointing fingers. His less than peaceful world is shaken when his father, a virtual stranger, enters his and his mother’s life after a fourteen years absence. The discovery of oil in the area has brought con men, card sharks, boot-leggers, and thieves to town. Leroy wonders if his “father” is truly concerned about him and his mother. Or is he after their land and possible oil rights? And what about that Texas Ranger, Lone Wolf Gonzaullas? Can one or two men make a difference in Kilgore? Josh and Leroy are friends despite their differences. Josh is the main target of the town bully while Leroy hates the father he has never seen. Josh and Leroy help their mutual friend, George and his family, as they deal with their white neighbor who is determined to get rid of them. Together the three friends bring a small measure of justice to their challenging world as they each experience a second chance. Now Where Did That Come From is a collection of short stories for ages ten to one-hundred ten. Stories include tales of animals, ghosts, aliens, grandparents, and Santa Claus. After each story a paragraph or two tells where Ms. Nuchols got the idea for that particular story. The author discovers ideas for stories in newspapers, billboards, comic strips, Christmas cards and in every day conversations with children and adults. She believes writing is fun and encourages all ages to grab a pen and paper and start writing. Kris has escaped his abusive uncle but knows that nothing will make him feel safe after what his Uncle Stan did to Aunt Katherine. A new home and new friends should make life easier, better. But Kris learns that these friends have their own fears and problems. One problem is the school bully. As the new kid in school, Kris is a target for the boy’s aggressive threats and actions. And Uncle Stan is still in the picture although hundreds of miles away. Grandma assures Kris that he is safe, but a nagging doubt keeps him alert for the time he must face his abusive uncle again. Kris makes plans to escape his abusive uncle and live with his grandparents. The success of the plan depends on Kris escaping his uncle’s control, then convincing his grandfather that he is in danger. 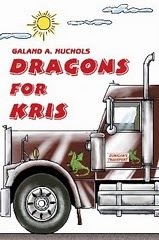 As Kris and Grandpa travel across the U.S. in King Arthur, Grandpa’s eighteen wheeler, the ten year old boy wonders if the old gentleman will believe him. Or will he brush off Kris’s fear as a kid making a mountain out of an ant hill? Two Bloods is a long story or short novel featuring Ralph Windsong, an Indian of mixed race that feels excluded from both the white and Indian communities. When he receives word that his half-brother is ill, possibly dying, Ralph makes a long trip across East Texas to check on him. Ralph Windsong is not the only one excluded from the community. An Indian woman has been banished from her tribe for unknown reasons. Ralph must decide if he wants to help her and incur the wrath of the tribe or hurry on his mission to care for his brother. Copyright 2015 Galand Nuchols. All rights reserved.